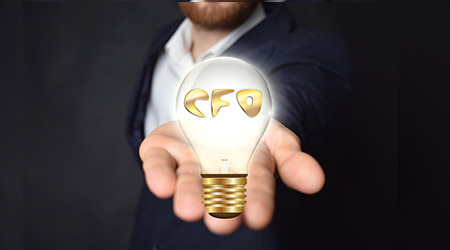 A communication gap between the CFO and facility managers can result in missing out on good efficiency projects. Here's how to avoid getting lost in translation. For commercial building owners and facility managers, financially compelling investments in energy projects continue to represent an undeniable and yet untapped opportunity — estimated to offer $290 billion in net present value across the US commercial building sector. The motivation is there: As evidence, look to the nearly half of all Fortune 500 companies that have set at least one clean energy or climate target. But several market barriers have made it difficult for the large majority of commercial building owners to capitalize on this opportunity —particularly portfolio owners, who stand to benefit the most. Although these communication challenges can be relatively easily overcome at the individual property level, they are exacerbated when project opportunities are evaluated across regional or national portfolios. This is in part because owners’ decisions largely come down to economics, and many economic factors that remain consistent at the property level can vary widely between different properties within a portfolio (e.g., utility tariffs and incentives, material and labor costs, lease mechanics, etc.). Fortunately, remote analytics approaches are emerging that can get all parties back on speaking terms. They do this by consolidating robust economic analysis into a unified portfolio-wide energy investment strategy — saving owners significant time, cost, and effort by evaluating their entire portfolios at once instead of one building at a time. Because of some limitations in existing approaches to energy project evaluation across portfolios, those approaches have generally fallen short of giving owners what they need to actually invest in energy projects. Most remote analytics strategies do not allow for deep enough economic analysis to prioritize energy project investments across diverse portfolios of buildings. Some very common approaches require substantial additional analysis to prioritize investments because they inherently lack economic considerations (e.g., benchmarking, which compares whole building energy use per square foot to similar buildings, and monthly utility regression analysis, which compares a building’s historic utility data to that of similar buildings). Other common approaches to energy project evaluation can effectively identify operations and maintenance improvements such as scheduling changes (e.g., utility interval data analysis and building automation system interval data analysis), but they cannot assess the economics associated with a broader set of energy projects, such as HVAC component upgrades. Although on-site evaluations can provide robust economic analysis, when looking across portfolios, they are likely to produce a library of reports that never make it off the shelf. Energy audits and retrocommissioning are able to provide comprehensive project identification and economic analysis at the building level, but are often time- and cost-prohibitive at the portfolio level. Plus, the many resulting reports can be difficult to consolidate into a portfolio-wide investment strategy given the likely differences in methodology and scope used by a variety of consultants. Simulation-based analysis, by contrast, can include nuances about building assets and operations, allowing a wide array of energy projects — from energy efficiency to energy storage, demand response, and renewable generation — to be evaluated simultaneously and comprehensively. Assessing energy project viability based on quality asset data (i.e., conditions of existing and new building equipment, fixtures, and other attributes) provides a direct connection to economics, making this the most promising approach for addressing portfolio owners’ needs when it comes to investing.